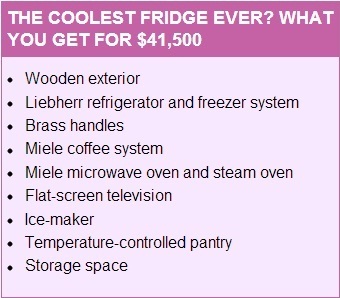 If you just want a refrigerator that accommodates your magnet collection, then this probably isn't the one for you. 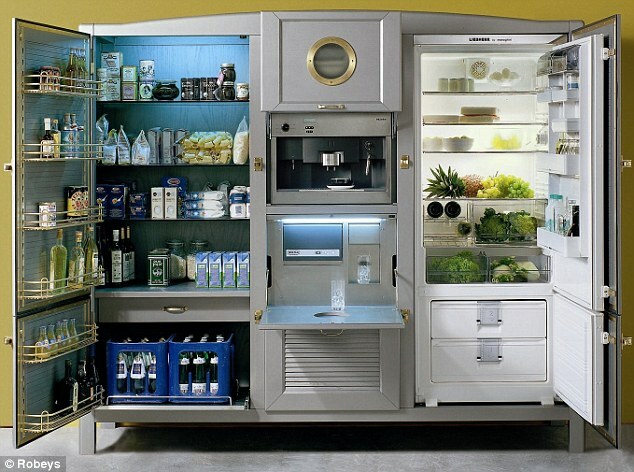 A manufacturer has launched a state-of-the-art fridge, which costs more than the average kitchen, at up to $41,500. The Meneghini La Cambusa unit can be custom-fitted with a range of gizmos including a coffee maker, ice-maker, temperature controlled pantry and even a flat-screen television. Looking more like a piece of antique furniture than a household appliance, the fridge is aimed at the super-rich. Indeed, one retailer, Robey's, in the UK, admits that they 'do not sell hundreds a week'. As well as refrigerating food, the La Cambusa three-door model includes spaces that can be customised to meet clients' need. The price can vary enormously because each one is custom-made in Italy. After shelling out $26,000 for the wooden frame, which can be painted in more than 500 colours, clients will then have to pay extra for brass handles, glass shelving and the fridge and freezer units. For those wanting all of the mod cons a number of other devices can be installed. A Miele coffee system, costing from around $3,000 is a popular pick, while flat screen televisions are frequently requested. A microwave oven and steam oven, by Miele are other optional extras. The centrepiece of the appliance is a Liebherr refrigerator system, which starts at $1,200. 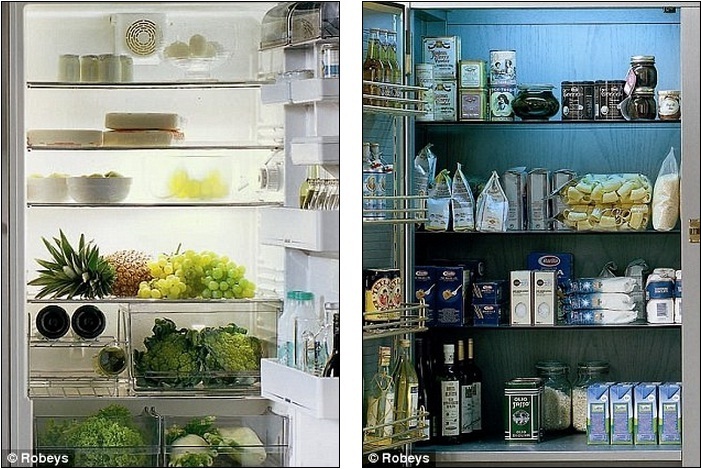 The Swiss-based company will also construct a temperature-controlled pantry for dry storage. The three-door La Cambusa, measures 8.2ft wide, weighs 1,100 pounds and includes 26.6 cubic feet of storage space. There are cheaper versions in the Meneghini range, and Nigella Lawson owns a cream version of the $13,000 La Ghiacciaia. 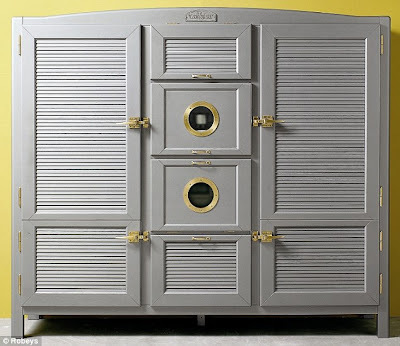 The website apartmenttherapy.com writes: 'We're set upon purchasing a Meneghini fridge/freezer in yellow when our lottery boat comes to harbour.